Thank you so much for visiting with Laura and I last night so that we can begin training with Dudley. This morning before our run I used your techniques with Dudley on a leash to show him that I was the leader. After about 2 minutes of walking around in the back yard we were off on our run. I only needed about 3 corrections in the entire 45 minutes and he ran right beside me with zero tension on the leash. No harness required. It was a delight, and he appeared pleased. And yes, I did give him praise at least one dozen times for his good behaviour. Thank you once again for the excellent job you did training Bear. Your training saved his life (and probably mine too!). Shortly after Bear had finished his 10 day “camp” we had an incident driving down Yonge St. After being frightened by a hose rack that had rolled forward in our Jeep we stopped at a red light. At this point, Bear jumped right out of the car window into traffic. I stopped the vehicle and just said Bear – No – Come, and he came right back to the car and got in! I was so grateful I thanked him all the way home for being such a good boy. Without your training I would have been chasing him along Yonge St. risking injury to both him and myself. Thank You Peter, Bear is truly a wonderful dog thanks to your training. – Irma, Doug and Bear. Just a little note to say “Thank You” for helping us with Oz. It’s been 2 months and so far so good! We are so proud of him. We are thankful for being referred to you and we truly owe you for we are enjoying Oz so much more now. He had his first grooming appointment this past weekend since his training and boy what a difference! The groomer wanted your name and information of course! He was such a good little dog, it made us so happy and relieved. Thank you! Thank you! for training Oz on how to be a better doggie. It totally worked! – Dina and Paul. P.S. Oz says thank you too! We are so glad we came to you for training for Hogan. We would definitely recommend you to everyone! Many Thanks! – Heather, Shawn, Chantelle and Mckenna. Hogan says Thanks too! Thank you for the very interesting, informative and entertaining presentation you and Sandy gave to the Washington Mothers’ Group. Your talk was most timely as at least two of our members have recently had family members or themselves been involved in incidents with dogs. Pet ownership is a big responsibility – you highlighted many areas a family must consider…not just having a well trained dog. You gave us all a lot to think about regarding pets but dogs in particular. Thank you very much for talking to our group. Thank you very much for the amazing job you have done with Corona in such a short time. You are “tops” on my list of dog trainers and I would not hesitate to recommend you to my friends. It is an extreme comfort to know your dog is being well cared for while you are at work. I just wanted to write you a quick note to say Thank you. I can’t even tell you how much Dan and I appreciate what your service has done for us. We can actually enjoy having a dog now! My name is Midnight Dancer better know as “Mindy”. I just turned 1 year old. I was adopted by my human family when I was 8 weeks old. At first everything was fine, lots of fun and games. Then it happened, learning to be a lady, I tried to please my adopted parents but there was a communication problem. The more I tried the more confused I was. My parents were the same, they were like two people on a merry go round. I even hurt my adopted mom’s hands on our walks by pulling on the leash. I felt so terrible, I did not know what to do. It was a real nightmare, for I never wanted to hurt her. All seemed hopeless, then along came Peter from Alpha Paws. Peter took me in for 10 days for training and life was both a challenge and a joy. I was learning how to communicate with people. Then came the time when my family started to come with me to school and they also learned how to communicate what they wanted me to do. At first they were slow, but they learned. Now we have wonderful walks together and life if really fun and enjoyable again! I just wish that all my canine friends could go to Alpha Paws, it really brings families together! Thanks for our “new” dog!!!! Trixie is a true family pet now. We had completed two 12 week dog obedience classes at a local club (treat training) and diligently did all our “homework”. However, Trixie, our now 14 month old, 85lbs German Shepherd was still not well behaved. We were at our wits end when Trixie dislocated her mom’s shoulder on a walk (she took off after another dog who was running off leash). We heard about Peter from a work colleague who also lives in Toronto. We were assured that the drive to Newmarket would be well worth it for the results we would see. Trixie did the 10 day Basic Obedience Training at the beginning of July and we are almost done our training now. The results are amazing! Trixie is with us all the time and lies quietly on a blanket while we read or watch TV. Walks are much more manageable now (even mom can walk her confidently). We still work with Trixie several times a day on our “homework” and find that she is much more calm and relaxed afterwards. We also switched Trixie to raw food which has made a difference. She constantly had an upset stomach and the vet couldn’t find anything wrong. Trixie very rarely vomits or has diarrhea anymore—in fact the poop is very small now and very easy to clean up! Family members, friends and neighbours comment on how much better behaved Trixie is—-we have a “new” dog. Thanks to Peter for the initial training—but more importantly for the support and training for us in the following weeks and helping us correct our mistakes. The training is a great investment! THANKS!!!! – Blake, Brenda, Shane, Shalyn and of course…Trixie!!!! Never thought it would happen!!! For the first time in our lives with Billy and Tie we had dinner without interruptions, jumping up, begging or whining!! For the first time we have seen our dogs tails wag out of love and happiness rather than pure hyper excitability!!! Our boys are very precious to us and we had to find place that would love them and respect them as much if not more than us!! After Billy being attacked by another dog to the point where we almost lost him we became “territorial” over him and his feelings!! The Alpha Paws team made us realize that that is not what he needed to be truly happy!! He needs rules and consistency. He needs love and PATIENCE! I don’t think the alpha paws team realize what they have done for our family! My wife is now able to walk both dogs while pushing a stroller and while she is walking with another person with ANOTHER dog!!! We never thought we would see the day!! Thank you Team for supporting us and for teaching us about our dogs! Thank you for giving us the hope we had lost and for encouraging us through our training!! We will be eternally grateful and so will our future children!!! How does one begin to write about the impact that Peter has on his clients (both human and canine)? This summer, when we brought our beloved Seymore home to stay, we weren’t prepared for the time, patience and persistance needed to tame the English Springer Spaniel spirit. Like most pet parents, we had simply fallen in love with 8 lbs of the most adorable furry creature the world had ever seen, with little insight into how overwhelming the first few months with a new puppy could be. Within weeks, we were referred to Peter by numerous neighbours who knew intimately the many frustrations and exhaustion of puppy parenthood. Within minutes of Peter’s “Puppy Preschool,” we saw the potential in our little devil to become the angelic dog we had envisioned. Now, after having completed 2 weeks of school with Alphapaws, Seymore is an absolute joy. We often look at him in wonder, amazed that at just 5 months old, Peter was able to transform our crazy puppy into a brilliant, polite and obedient little man. We heard about the BARF diet when we had our 2 dogs in training with Peter. It wasn’t until the dog food scare that we decided to switch to the BARF diet. I can tell you that the change in our dogs is remarkable after 2 months. Their coat is soft and shiny after feeling like straw, their teeth are white after being tarnished with tartar, their energy level has spiked significantly and they haven’t had any hot spots which they were prone to previously. The diet costs a little bit more and involves a bit more work but it is definitely worth it!! In the long run we’ll have healthier dogs and that will save in vet costs. Our 2 goldens will be turning 3 this year and they are extremely well behaved. We would not have been able to have such obedient dogs if it wasn’t for Peter’s training and guidance. We cannot thank Peter enough for his expertise and absolutley magical way with dogs. Our 11 month old puppy DASH had become aggressive, bad mannered and confused with his role. Peter taught Dash and our family what acceptable dog behaviour is and how to reinforce it. Dash is now a calm, smart, well behaved dog and we are much smarter, happier dog owners. THIS IS THE BEST DOG TRAINING YOU WILL EVER ENCOUNTER. Thank-you Peter. We will sing your praises to anyone who will listen. 10 month-old P.D. (used to stand for Psycho-Dog) has become such a joy to have in our home. We have learned soo much about talking “Dog” that we (family and dog) are beginning to understand each other. This was going to be our last ditch effort to keep this dog in our home and the investment was well worth it. He’s a keeper now. Another note – with all of the dog food scares going on right now -I was happy to have had him enrolled in the Nutritional Counselling and made a switch to a better diet. This was confirmed to me last week when I was watching the Oprah Show and she had a guest who was a specialist on dog diets. He stated the same teaching that Peter of Alpha Paws told us… Raw meat diets are the best for dogs. We are thrilled with the changes that are taking place – I recommend anyone who feels at the end of their rope – don’t give up – give Peter a call. The new website is beautiful! It’s been about 2 1/2 years since we brought Miya to you, she is still doing extremely well, you have helped us so much. I’m constantly talking about your work to friends and family. I referred the Purvis’ to you with their dog Betty and my sister and her husband will be bringing Bailey, their 9 month old Boston Terrier to you very soon, expect a phone call! All the best and thanks for everything. Our dog Nelly is a six month German Sheppard and is the most calm and smartest, exellent behaved Sheppard I have ever seen or had, thanks to Peter at Alpha Paws. She is so well behaved and great with our three children. We also took the advice from Peter and switched her to the raw food diet and our dog has never looked so healthy. Peter’s training is so amazing I recommend it to everybody. 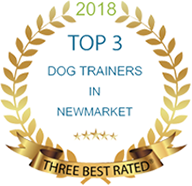 Thank-you Peter for your love of dogs and training you provide, it really shows in Nelly and I’m sure eveyone who knows you will agree with me. Alpha Paws has changed my life. (My graduate is Max 2) Not only do I have the most well behaved dog in the world! but putting him on the raw food diet was the best decision of my life. Max suffered from IBS and anxiety, I was told he would be on medication for the rest of his life. But after the training, his anxiety disappered, and after we started the raw food diet so did his IBS. He has no more eye /ear/ stomach or behavior problems. As soon as I met Peter and Sandy I knew they would change my life, and they did. Peter, Our Logan is so much fun since his training.We have many visitors to our house and Logan is just great when the door is opened.He doesn’t jump or bite anymore and we get so many compliments on how good he is.Thanks again Peter and I have reffered many dogs to you. "Thank you once again for the excellent job you did training Bear. Your training saved his life (and probably mine too!). Thank You Peter, Bear is truly a wonderful dog thanks to your training..."